CPI inflation up 1.6 percent y/y in December, and core inflation up 1 percent. 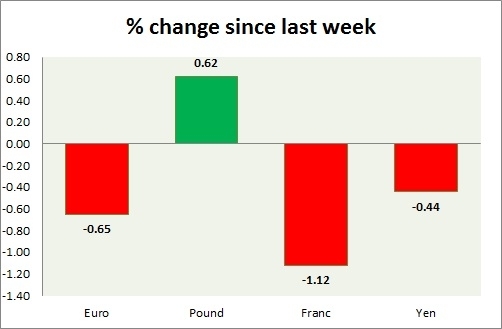 The euro is down this week, as European data disappoints. The focus is on Brexit news flow. Active Call - Sell Euro at 1.218 with 1.17 as target; target revised lower to 1.095 area. National inflation report will be released at 23:30 GMT. The yen is steadily weakening since the sharp rise two weeks ago. Franc is the worst performer of the week.